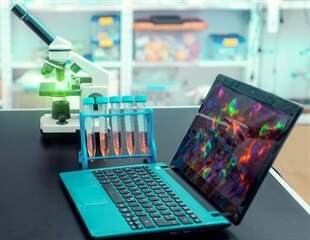 Working with mice, a team of Johns Hopkins Medicine researchers has developed a relatively inexpensive, portable mini microscope that could improve scientists' ability to image the effects of cancer, stroke, Alzheimer's disease and other conditions in the brains of living and active mice over time. Developed by researchers at the Garvan Institute of Medical Research, this potential diagnostic method screens a cancer sample for 'fusion genes', estimated to be linked to one in five cancers, and may provide a more accurate snapshot of rearranged DNA found in cancer. Researchers have developed a microscope specifically for imaging large groups of interacting cells in their natural environments. Proteins are the basis of cellular and physiological functioning in living organisms. The physical and chemical properties of proteins determine how they act and work within cells. All stem cells can multiply, proliferate and differentiate. Because of these qualities, leukemic stem cells are the most malignant of all leukemic cells. Understanding how leukemic stem cells are regulated has become an important area of cancer research.